From January 21st to February 8th, you’ll have yet another excuse to go out and try some great food from one of the city’s fantastic restaurants, but before you hit the streets, why not arm yourself with the information you’ll need to get the most out of the experience? Today, we’re going to explore some of the particulars around this always-laudable NYC event so you can maximize your Restaurant Week enjoyment. First things first, let’s talk about what Restaurant Week is, specifically. This is a twice-a-year event that typically takes place in the winter and the summer. It’s billed as a kind of bargain hunter/foodie dream, as during the time of the event, hundreds of restaurants across New York offer up some delectable choices from a prix-fixe menu at an amazing price. A two course lunch, for instance, will only run you $26, while a three course dinner comes to a surprisingly low $42 — a great way to enjoy a lot of food for what many would consider a steal. If you’re wondering how such an awesome deal first kicked off, you’ll need to travel back in time — about 26 years — to 1992, when it was “developed as a one-time culinary event to welcome the Democratic National Convention (DNC) to the City.” NYC Restaurant Week was the originator, the very first of its kind, and while that initial event only saw 95 restaurants participate, in the years since, the list has grown to include upwards of 380 fine establishments in New York City. Tucked away on Madison Avenue in the Flatiron District, you’ll find The Clocktower. This stylish (some might even say posh) establishment serves up a menu of modern, British-inspired fare, straight from the mind of Michelin-rated chef Jason Atherton. As you ascend to the second floor of the New York Edition Hotel (formerly the Metropolitan Life building), you’ll get the sense that you’re in for a dining experience fit for the upper crust, and that’s exactly what you’ll be getting, at a fraction of the price you might expect. This beautiful, high class establishment — Augustine — is located right on Beekman Street near City Hall Park (at the Beekman Hotel), and has a gorgeous, Art Deco design that perfectly compliments its culinary aesthetic. Well-prepared meats are never in short supply here, and when you head in for one of the prix-fixe lunches, you’ll have your pick between executive chef Markus Glocker’s take on fine options like Pork Schnitzel, Chicken, and delectable County Trout. The “legendary” 10 Corso Como brand hails from Milan, Italy, and you’ll find its high-class outlets scattered across the globe. In NYC, you can head to Fulton Street, at the Fulton Market Building, to enjoy their stunning cuisine, which consists of popular Italian favorites with several unique twists. More than simply a restaurant, though, you have the opportunity to tour their gallery, do some shopping in the retail section, and bask in the luxury of their massive 23,000 square-foot space. There’s little doubt you’ll want to take full advantage of Restaurant Week. That being the case, there are a few tips you’ll want to keep in mind before you head out, the first being that reservations and ample amounts of research are a must. You see, there’s little to no chance of just waltzing into your establishment of choice and scoring a good table (or any table at all, for that matter) so you’ll be doing yourself a favor by booking in advance. Since there are so many options on the table, you probably won’t able to hit them all, which is where research and narrowing down your personal list will come into play. Refer back to that database of participating establishments, identify your top choices, and then plan your reservations to make sure you can get in where you desire to most. To get the most out of your dollars, try heading to the restaurants you want around lunchtime (the lunch menus are just as delicious as dinner, and cost less), and don’t worry if you can’t get to your favorites during that first week. Restaurant “Week” actually goes on for a few weeks, and while there will be a hearty amount of competition for tables during those first five days, you might find it easier to get a spot at the eateries you want as the event rolls on. Lastly, be sure to have a great time when you’re out enjoying your meal. Restaurant Week is a lively and exciting time for New York City, and the whole point is to have fun while eating fine food. That shouldn’t be too difficult, as the entire experience is crafted for maximum culinary pleasure. You might not think it at first glance, but fabulous city apartments like 15 Cliff are a foodie’s dream come true. For starters, each unit houses a rather impressive kitchen, meaning those who like to cook can do so with plenty of style and space. 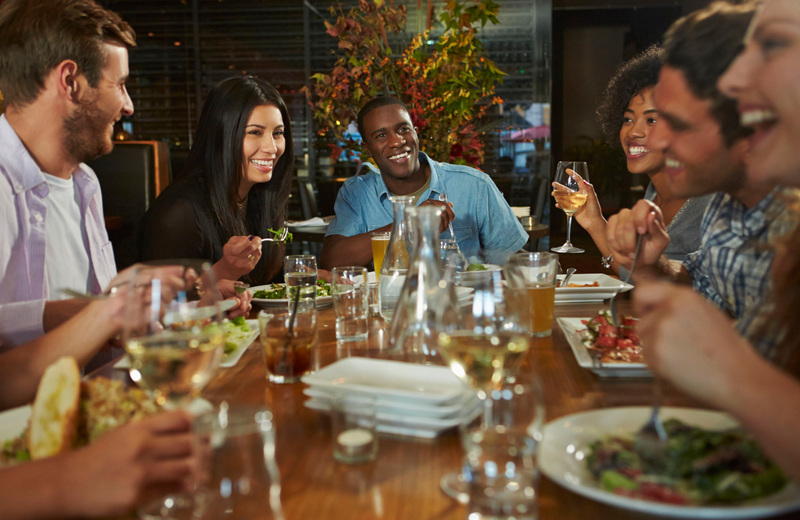 Beyond that, though, this community’s positioning near all the finest establishments in its downtown location make going out for a bite to eat enjoyable every time. Be sure to check out what 15 Cliff is all about, and inquire about our availability when you’re ready to make the move to this constantly evolving (and always exciting) section of Lower Manhattan.